The good news is that LineageOS 16 for Galaxy S8+ is now available to download and install. This build of LineageOS 16 for Galaxy S8+ is brought to you by developer Stricted. 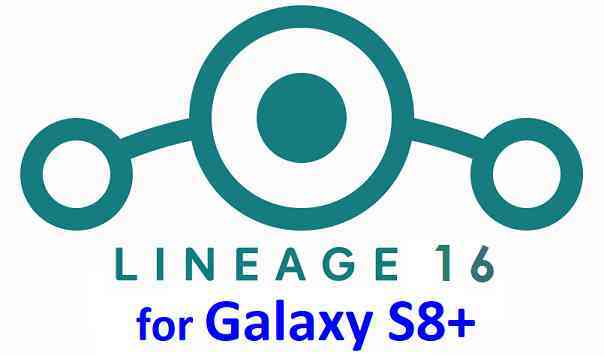 Searching where to download LineageOS 16 for Galaxy S8+? Wondering how to install LineageOS 16 on Galaxy S8+? If you have one of the question for your Galaxy S8+, then you are at the right place and here is where to download and how to install LineageOS 16 on Galaxy S8+, with a step-by-step guide. THIS IS AN INITIAL BUILD OF Galaxy S8+ LineageOS 16 WHICH MAY NOT BOOT AT ALL OR EVEN IF IT BOOTS, IT MAY HAVE MANY BUGS. Installing a TWRP recovery on Galaxy S8+ may delete all your data. Before proceeding further you may consider backup all data on the phone. Download and Copy the LineageOS 16 Gapps and the Galaxy S8+ LineageOS 16 ROM ZIP file to your phone. Boot into the TWRP custom Recovery to install this LineageOS 16 for Galaxy S8+. Install the Galaxy S8+ LineageOS 16 ROM file that you have copied into the phone. Reboot and Enjoy the Galaxy S8+ LineageOS 16 Android 9 Pie ROM. Install the LineageOS 16 on Galaxy S8+. If you don’t have GApps after upgrading the LineageOS 16 on Galaxy S8+, then install the GApps. If you don’t have ROOT after upgrading the LineageOS 16 on Galaxy S8+, then install the SuperSU or Magisk or the Lineage SU binary. Once everything is done, reboot and Enjoy the LineageOS 16 for Galaxy S8+. Complete the initial setup and enjoy Android 9 Pie with LineageOS 16 on Galaxy S8+. Stay tuned or Subscribe to the Galaxy S8+ (dream2lte) LineageOS forum For other Android Pie, Android Oreo ROMs, Nougat ROMs, or other ROMs and all other device specific topics.